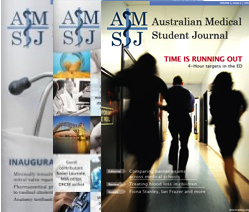 The AMA is very honoured to be part of the inaugural edition of the Australian Medical Students Journal, and to be involved in the work and thinking of the next generation of medical professionals. Medical education and training is a key part of any health reform agenda. Without a quality future medical workforce, no health reform will be a success. The AMA keeps reminding Governments of this important fact. The Commonwealth’s recent health reform announcements are an opportunity to improve and to define more clearly the funding arrangements (and therefore responsibility) across the stages of medical education and training. Like all parts of the health system, clinical training in particular has been caught up in blame shifting. The Commonwealth decides on intakes to medical schools, but the States and Territories provide the lion’s share of clinical training in the public system. This means that while the Commonwealth has embarked on a massive increase in medical student numbers since 2004, there is no guarantee that the States and Territories will supply all the pre-vocational and vocational training positions in public hospitals that are needed for the increased graduate numbers. The Commonwealth’s plan to identify and fund 60 percent of the costs of training in public hospitals may give the Commonwealth more say in making this happen. The Commonwealth has also recently announced a significant investment in training places. This funding provides for more pre-vocational General Practice placements, more GP vocational training places and more specialist training places in private, community and rural settings. This is great news and is in line with the proposals put forward by the AMA. States and Territories must now play their part and fund more prevocational and specialist training positions in their public hospitals to make sure that we can give all future graduates a training position. We need to make sure there is the right level of investment in the infrastructure and resources to support these places; quality supervision is key to the successful roll out of these places. 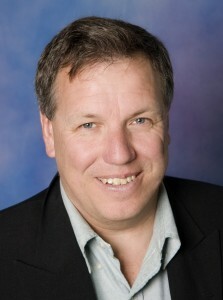 The AMA met with the Minister for Health and Ageing in March to discuss clinical training issues – specifically infrastructure and resources for clinical training, including the AMA proposal for the Government’s new body, Health Workforce Australia, to take a strong role in providing for pre-vocational and vocational training. Currently it only provides for undergraduate clinical training. Health Workforce Australia funding should supplement the efforts of the States and Territories by funding discrete projects that will boost training capacity across the system. This includes funding for dedicated teaching and training time for senior clinicians, the development of innovative training programs for interns, professional development programs to enhance the teaching capacity of junior doctors, and extra prevocational training positions in community settings. Importantly, the Government has recently agreed to a continued and expanded role for the Medical Training Review Panel (MTRP). The MTRP has a key role to play in monitoring and reporting on the availability of clinical training places, particularly for pre-vocational doctors such as interns, given the significant increases in medical school places in Australia. The AMA has strong representation on the MTRP. While there is positive movement by the Government with regards to numbers, we need to make sure that the quality of medical education is not compromised. There is a very real threat to this as Governments attempt to do more with less. While the AMA appreciates the need to find innovative ways of teaching, methods must respect that quality clinical placements and mentoring by senior doctors must remain the cornerstone of medical education. We need to constantly remind politicians that it is bad policy to reduce the quality of medical education and training or seek to replace the central role of the doctor with lesser-qualified health workers. The AMA will be running with many messages this election year – just as we have been doing already on the health reform agenda. Boosting quality medical education and training will be one of those messages.